<p style=">Founded in 1991, Home Decorators Collection is among the giants in the United States home décor industry. The company offers exceptional value on a wide range of high-quality furniture, area rugs and accessories through their retail stores, website, and catalog. Home Decorators Collection was founded by Gil Kemp, an entrepreneur, and a passionate investor in the home industry. Today, the company prides itself in being the largest direct seller of home merchandise in the United States. The company also has six retail stores in United States featuring two unique “store within a store” centers at Home Depot. Its company name is HD Direct, LLC, and its headquarters is in Marietta, Georgia. Founder Gil Kemp still serves as President and CEO, despite the company being acquired by Home Depot in 2006. Since its inception, Home Decorators Collection has grown its catalog from 56 pages to more than 100 pages featuring thousands of items each month. Its website features all catalog merchandise and many online exclusive products. Through their website, HomeDecorators.com receives and processes thousands of orders every week. The website gives consumers the ability to request that a catalog be sent to their home. If you'd rather shop online, you can always take a look at one of their ecatalogs or even shop directly on the website. After placing an order, you can easily check on its status. While on the website, visitors should also make sure that they sign up for the company's newsletter. Doing so is well worth the time based on what you receive in return. They'll send information on when to expect the next Home Decorators Collection sale as well as tips and articles to give you tips on redesigning your home with a unique look. Members will also routinely receive Home Decorators Collection online coupons to use on the website. The blog is a place that those seeking inspiration will definitely want to take a look at. There are plenty of articles harboring useful information and pictures to give you a great idea of what you'll want your home to look like once you're finished decorating. Those who are active on social media networks can connect with the brand on them as well. They're available on Facebook, Twitter, Instagram, Google+, and Pinterest. HomeDecorators.com has thousands of home furnishings and decor to choose from, including many online only exclusives. The website can be browsed via keyword search, catalog item number, sale items, specific rooms in the home (living room, bathroom etc), and items aimed at children. The main categories include Furniture, Rugs, Decor, Bathroom, Storage Solutions, Textiles, and Outdoor & Garden. There is also a gifts page with many small and novelty items, such as beer fridges, drinkware, wallets, bookends, and hundreds of other interesting items. If you're looking for Furniture you will find a comprehensive range of seating, tables, cabinets, and upholstery, for the home, bedroom or office. Rugs come in all different shapes, sizes and styles, and Home Decor covers wall art, windows, tabletops, throws, and much more. The Bath section includes bathroom lighting, mist free mirrors, shower accessories, cabinets & shelves, towels, and more, and Storage encompasses everything from laundry baskets, to wardrobes, to filing cabinets. If the summer is here their outdoor selection includes garden lighting, furniture, outdoor dining, pool accessories, umbrellas, and much more. You can also buy gift cards of various balances, so the recipient can make their own purchasing decisions. Payments can be made to Home Decorators Collection using most common credit cards, such as Discover, Visa, American Express, and Mastercard; as well as their own branded gift cards for all or part of your order. Instead of using another major credit card, you can also take a look at the company's branded consumer credit card. After filling out the form, you will receive an answer in less than a minute. What's more, you can use the credit card at not only Home Decorators Collection, but at Home Depot stores and its affiliates also. It's super simple to save money when shopping for Home Decorators Collection blinds or other merchandise. Simply make note of the special code that you've found. Shop until you reach the checkout page. 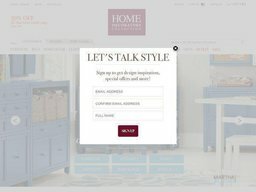 On this page, you'll see the promo box where you're supposed to enter your Home Decorators Collection coupon code. 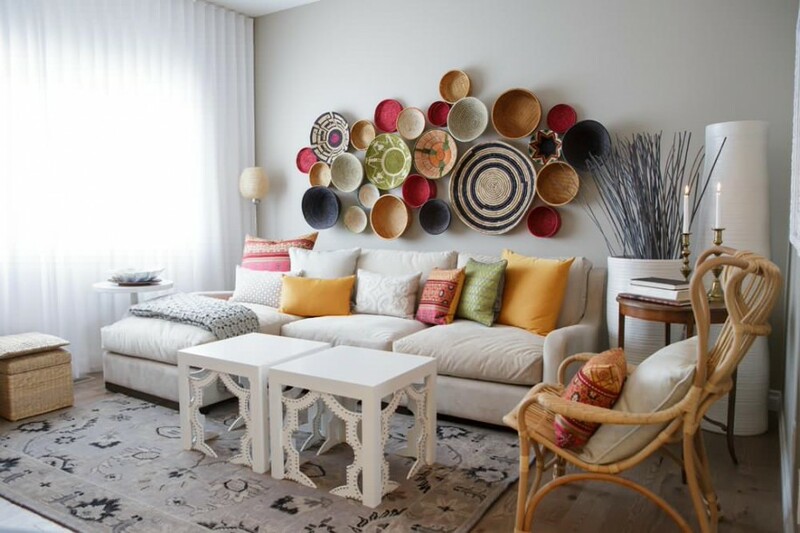 HomeDecorators.com caters to domestic customers through a number of shipping options, as well as international customers using the BorderFree system. To choose your destination country all you have to do is click the flag icon at the top of the page, which will update your shipping options and shipping fee calculation accordingly. All pricing will still be show in US dollars however, so you may wish to do your own currency conversion sum. Canadian deliveries take up to 12 business days, UK deliveries take up to 7 business days, other European destinations can take up to 8, and other countries fall in between the same length. Shipping is charged based upon the weight of your order. In the US options include Standard Shipping (which takes 3 to 5 business days), and 2nd Day & Overnight options. It's wise to allow a couple of days processing time on top of the delivery estimations. Home Decorators Collection offer a no questions asked 45 day return policy, that permits returns within 45 days of the purchase date (not delivery date). As long as the returned items are in their original condition, you will be granted the option of a refund or store credit.